Uniquely Grace: Announcement Party Time Tuesdays - Your Daily Dose REVEAL! Announcement Party Time Tuesdays - Your Daily Dose REVEAL! Hello Everyone! 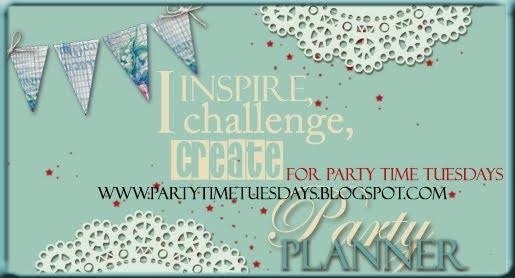 I am very excited today to share with you a new adventure in blogging that I am a part of, the Party Time Tuesdays - Your Daily Dose blog! I am even more excited then usual about this endeavor because I have been in on the planning stages on this project and am one of the founders! It's an daily inspiration, weekly challenge blog where you can enter links to your projects to win prizes! So much fun, and best of all I get to work with some fantastic ladies in this industry. Blog Designer for our NEW LOOK!